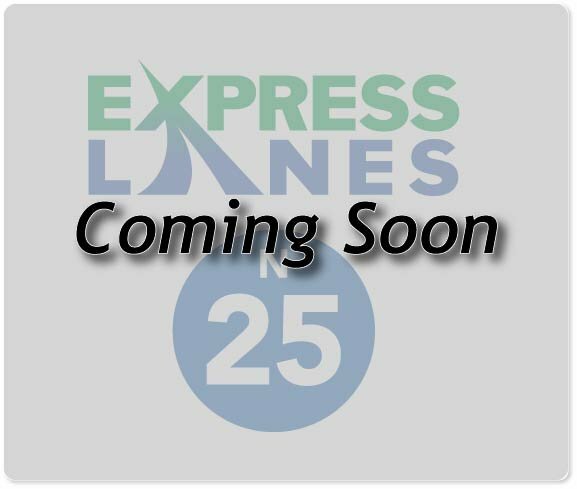 Construction activities are planned, and these Express Lanes are expected to open in winter 2022. Pay a toll, either as a solo driver, or as a driver and one passenger. HOV/Carpoolers must have an ExpressToll account and Switchable HOV transponder, as well as a driver plus two or more passengers to use for free. Motorcyclists can use the Express Lanes for free without a pass. Bus and other transit can travel in the Express Lanes.